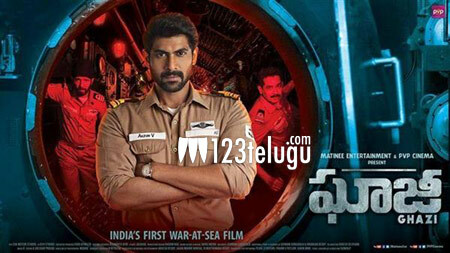 Rana Daggubati’s latest flick, Ghazi, released last Friday in Hindi, Telugu and Tamil and is running with a positive word of mouth in all languages. This India’s first war-at-sea film is gaining strength with each show in domestic and overseas markets. According to the latest updates from trade circles, Ghazi has collected a gross of 9.50 crores in the domestic markets, including all versions in 2 days. Today being a Sunday, the collections are expected to show an upward trend, setting a good weekend at the ticket windows. Jointly produced by Matinee Entertainment and PVP Cinema, this film has Taapsee Pannu as the female lead.